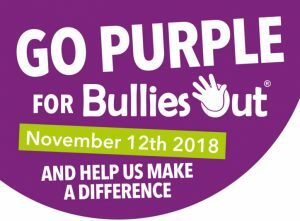 Take a stand to say no to bullying, and show your support for people who are bullied – in our schools, workplaces, homes, and on the Internet. In 2007, when a Grade 9 student in Nova Scotia was bullied for wearing a pink shirt, a group of friends bought 50 pink shirts to distribute to other students, to wear in support of their friend. Their big hearts struck a cord, and today Pink Shirt Day has become an annual event in countries around the world, and recognized by the United Nations. Talk about bullying to your friends and family – especially your children. If you see someone being bullied, stand beside him or her to show your support, lead them away, and tell a teacher or boss. Buy and wear a pink t-shirt from the BC-based not-for-profit Pink T-Shirt Day Society. For more tips on what to do if you are bullied, and for more information, visit http://www.pinktshirtday.ca. 40% of Canadian workers experience bullying on a weekly basis.